When the spring/summer seasons roll around, finding the perfect pair of jean shorts is a major key. I swap out my jeans for jean shorts basically all summer long, so finding a great pair is one of my go-to wardrobe pieces. I’m really picky about jean shorts. TBH I am not 100% cool with my thighs, so finding the perfect pair of jean shorts that don’t accentuate them in all the wrong ways is really important. I spotted these Topshop jean shorts online and loved the distressing, the high waisted silhouette, and the fact that the thighs were baggy. OK, so truth time. I ordered them in a huge size. I ordered the Topshop size 10. 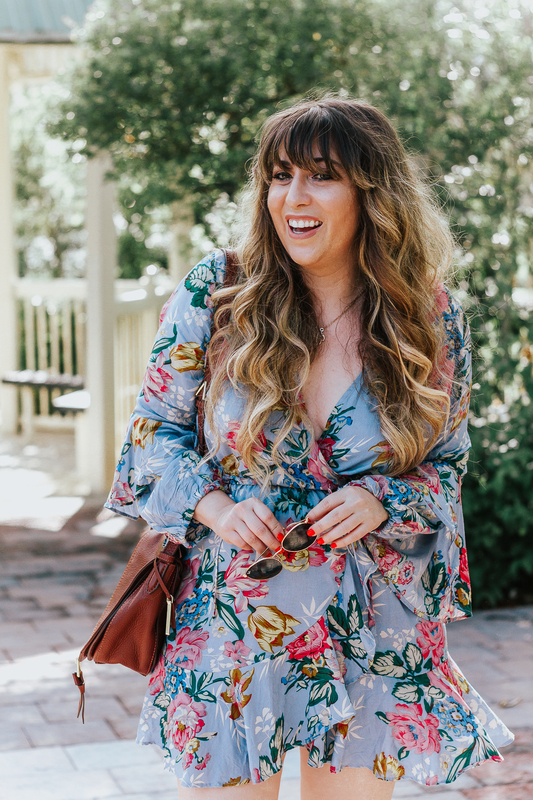 If you’re an avid Topshop shopper, you know that the pieces are sized with UK sizes, which are typically 1-2 sizes smaller than our American sizes. I typically wear an American size 6 and find myself in Topshop size 8 or 10 most of the time. Now that I’ve been wearing them, they’re sort of big. Not sure if that’s because they need to be washed again to shrink back down, or because I’m losing weight lol! I’ve been living in them since I ordered them a few weeks ago. They’re so flattering and I love them! I like to dress them up a little bit with some wedges and a cute top or dress them down with flat sandals or sneakers and an oversized tee. I can’t recommend them enough! 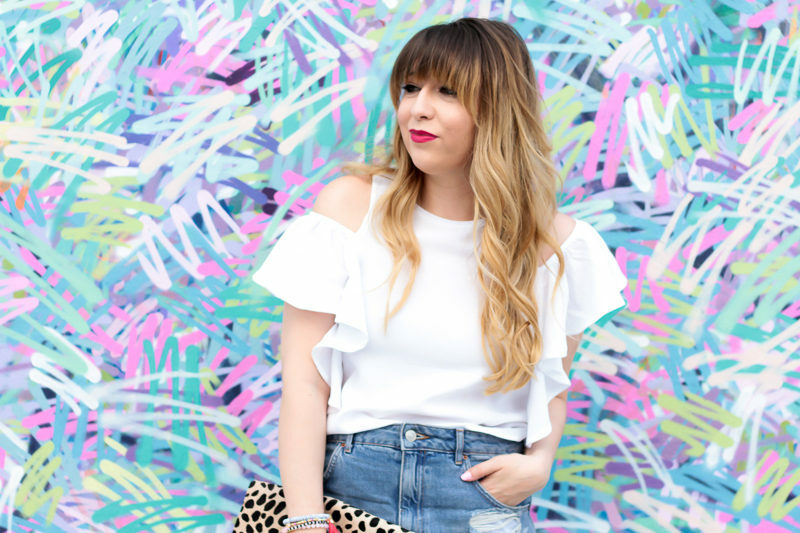 This cold shoulder top is also something I’ve been wearing a lot lately! 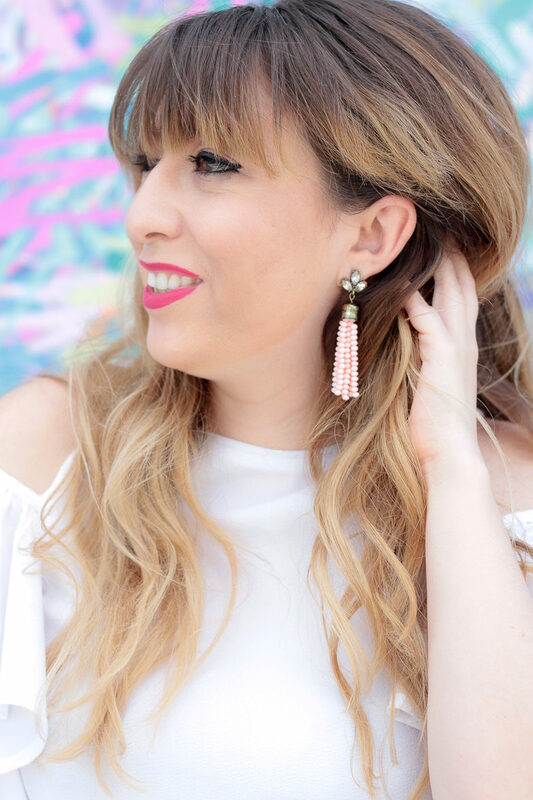 (You may remember I wore it with culottes in this post from last week!) I’m going to pair it with a jean skirt or next, or maybe some other cute shorts. Just a head’s up: my bracelets and ring are on sale today only! Baublebar is having a 25% off sitewide sale with code: WARMUP! By the way– isn’t this wall so fun?? I went out to Wynwood last week to check out some of the walls and try Serendipity Creamery which was uh-mazing! 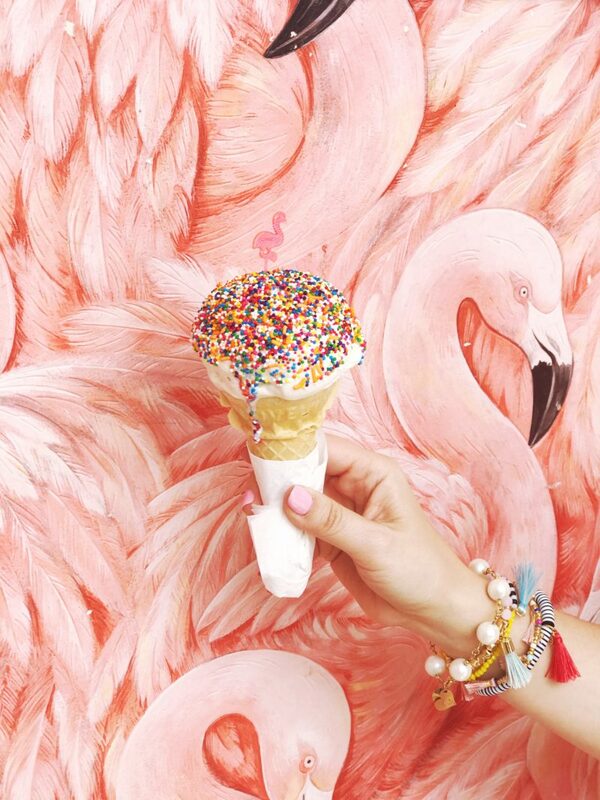 (Not gonna lie, I went mainly because they give you ice cream with flamingo picks and they have the cutest flamingo backdrop!